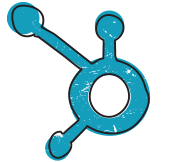 HubSpot marketing automation is what gets you hooked. First, they lure you in by telling you how you can nurture all those strangers through the Inbound Marketing funnel and turn them from website visitors into leads and delighted customers without lifting a finger. Before you know it, you're donning the orange robes of a true HubSpot acolyte and downing all the Kool-Aid your HubSpot representative instructs you drink. Lever the online research phase of a purchase to drive people to a website. Optimise the visitor journey on that website to help people make a buying decision. Use marketing automation to engage people during protracted buying cycles. A Platinum HubSpot Partner for Bristol, UK. 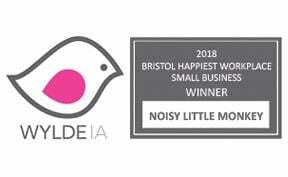 At Noisy Little Monkey, we resisted drinking the HubSpot Kool-Aid for years, but we had a slow dawning realisation that we needed a tool that would help us manage client information and deliver us leads that wasn't stupidly expensive. We came to Hubspot because WE had a business problem, and we LOVE it, it is literally transforming our business.We love it now, but O. M. G. it was ridiculously hard to move from saying we'd do Inbound Marketing for 12 months to ACTUALLY DOING INBOUND MARKETING FOR 12 MONTHS. Seriously, it's been hard work (as evidenced by the masses of useful articles we've produced). We've had to change the way we operate; treating ourselves like our best client, rather than letting our own marketing slide when we've been snowed under with client work. But, the results speak for themselves. You'll see that our website visitor traffic was already pretty healthy and our conversion rate was OK too *pats self on the back* but now it's PHENOMENAL: Organic website traffic is up 64% year on year. Contact forms filled on the website has gone from several per month, to several per day. As a sales and service business we understand how Hubspot can make a significant difference to your digital marketing and we also know how hard it is to make it work. Which is why we are your perfect Hubspot partner. Whether you are dipping your toes in using the Hubspot free tools, have the marketing platform to help deliver content marketing or have the full sales enablement thing going on, we can provide strategy, tactical support like workflows or content production, train your team or act as a Virtual Hubspot Manager. Our Inbound Marketing Certified and HubSpot Certified team are here to help you, wherever you are in your HubSpot journey. Have you only just heard of HubSpot and need a demo? We can help.Are you already using it but need some coaching? We can help with that too.Are you absolutely at your wit's end because you know it's going to be ace but you're just totally stuck with how to get started on all of this? Oh boy, we've been there and bought the (HubSpot branded) T-Shirt. Using HubSpot's marketing and/or sales platforms is a great way to measure effectiveness and do more of what works. Consumer engagement, across social media, email, and website are key ways to turn left baskets into happy customers. Used effectively HubSpot will completely revolutionise your online marketing, events and new business generation.